“On Fleek.” “Yaaaaas Hunty.” “It’s Lit Fam.” “Thicc.” African-American Vernacular English is quickly appropriated by broader American culture. Folks want to talk like us. But do they want to hear us speak -- or at least provide us with the resources to do so? 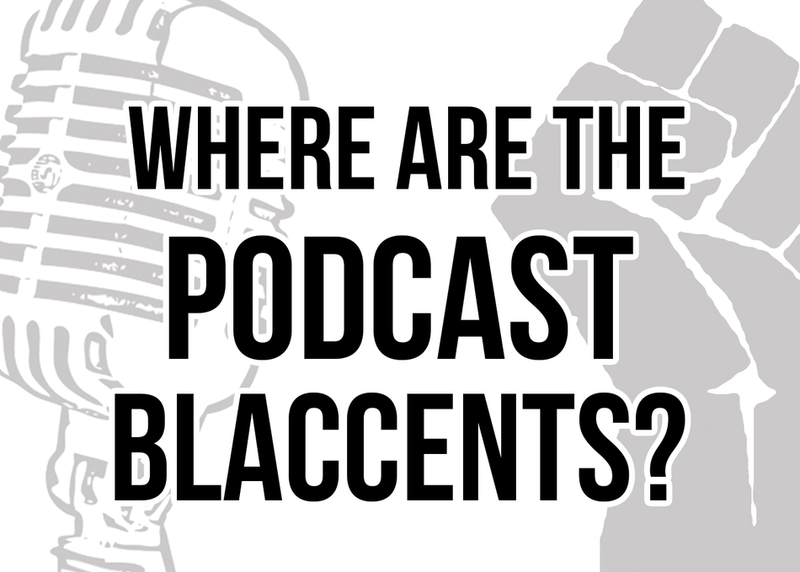 With the exception of a handful of conversational and comedic podcasts, hosts of critically acclaimed shows usually drop the blaccent in favor of a more NPR-ish style of speech. Where is the disconnect? Does it matter that there is one? This panel will explore: the dearth of podcasters with blaccents, inaccessibility for podcast creators and listeners who favor AAVE, and the importance of putting resources into audio series that exist outside of the NPR mold.